SOCIPOLE, Lda is dedicated to the production of common soap for clothes since 1993 (the year it was founded) and its main markets are the PALOP and the internal market. In 1998, it initiated a Biodiesel production process as a pilot project. In 2000, still under that project, started collecting used cooking oils. 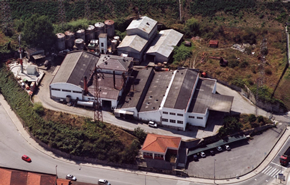 In 2011 we ended with this production process, and we focus only on the soap, which is the most important product and our core business to date. The satisfaction of human part of the company seeking the welfare of all its employees. Honor commitments to society in defense of the environment, and thus to act responsibly. So we seek continuous improvement of safety in the production process, product quality and environmentally sustainable laboring.